BKS Iyengar is one of the most renowned and iconic yoga teachers in the world, well known for his style of yoga, named after him as IYENGAR YOGA. “Guruji”, as he was fondly called, had been practicing and teaching yoga for over 75 years. He began teaching in Pune India in 1935 where he continued to stay and teach till 20th August 2014 when he passed away at the grand age of 95 following a brief illness. The Ramamani Iyengar Institute in Pune remains as the “centre” to millions of students from all over the world – where they congregate many times a year to refresh and relearn from the master himself. Guruji continued to innovate and modify the classic poses to simplify and deepen their parameters. Through intense and dedicated study and practice of yoga, BKS Iyengar has introduced many innovations with the use of props such as belts, ropes, chairs and blocks to make the poses more accessible to aspiring students and also to help a continuing practitioner to master difficult poses. 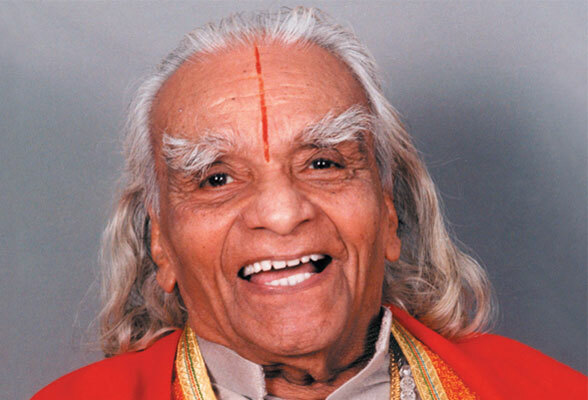 BKS Iyengar taught what most students sought after – flexibility and strength.Millions of students follow his style with hundreds of yoga studios all over the world. BKS Iyengar is also the author of many books including Light on Yoga, Light on Paranayama and Light on Yogasutras of Patanjali. In 2004 the Time magazine named him one of the 100 most influential people in the world. After his death, his legacy is carried on by his children, who are world renowned teachers in their own right and continue to teach at the Ramamani Institute in Pune. His greatest contribution would be that nearly every student and teacher – inside and outside India – who ever stands on a yoga mat or even faces to teach a class has been influenced in some way by the contribution made by BKS Iyengar to the art of yoga. Iyengar Yoga is a method and practice of Yoga based on the teachings of Guruji BKS Iyengar. The method offers a safe and systematic progression of poses to develop each student’s ability. The system aims at building a cumulative build-up of strength and flexibility with great emphasis on safe and proper alignment of the body. Guruji BKS Iyengar refined the poses with props and other innovations that facilitate better learning. This adjustment can even help people with physical conditions to experience the classic postures in their pure forms. The Iyengar method develops the knowledge of the classical form to build strength, stamina, endurance and flexibility; attention to subtle physical details and focuses on mindfulness. With its emphasis on concentration the style prepares the body and mind towards meditation. This leads the individual ultimately to grasp the depth and profundity of the mind and spirit – the real aim of yoga. Uses of props as all bodies are different and have their own limitations in physical structure. The props help the body to get into proper positions in an optimal way. Correct sequencing in which a powerful cumulative effect is felt by the body in order to build structural and muscular strength and stability. Long holding of the postures to let the effect of the poses to penetrate deep into the body at a cellular level.